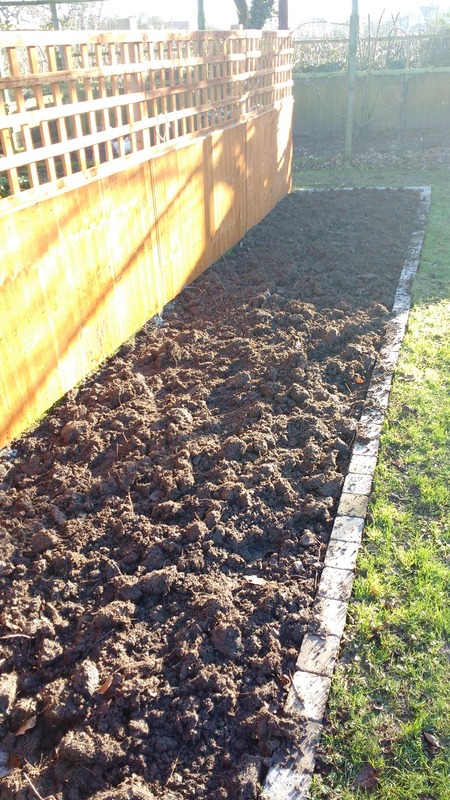 Whilst it has been dry Mark has spent a couple of days in the garden, he has trimmed the laurel hedge which was getting a bit overgrown and also dug over the new border ready to move the roses. 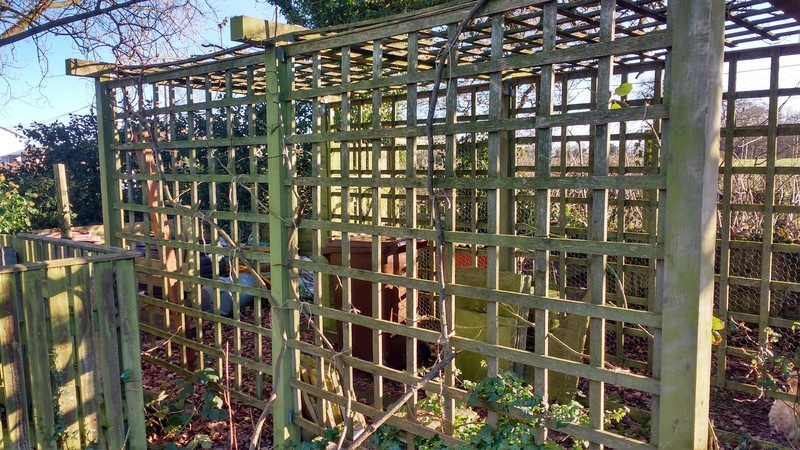 He has re-tied one of the roses to the trellis, this is the only rose that we are leaving in it's original spot as it was already trained to go up the trellis and we will still be able to see it when it starts flowering. 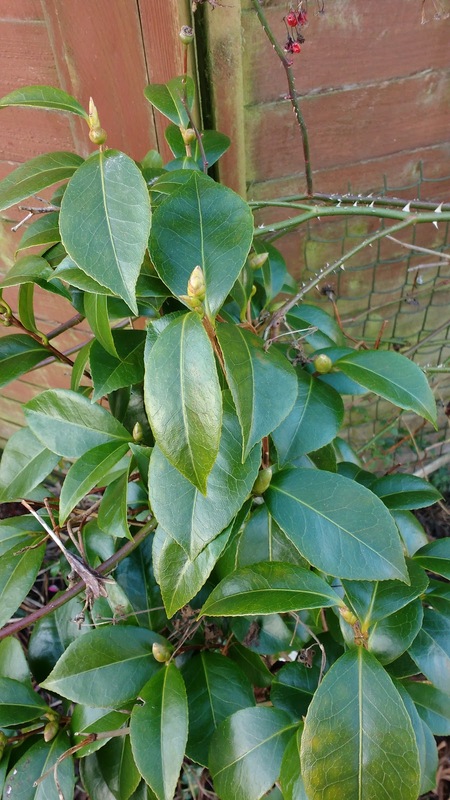 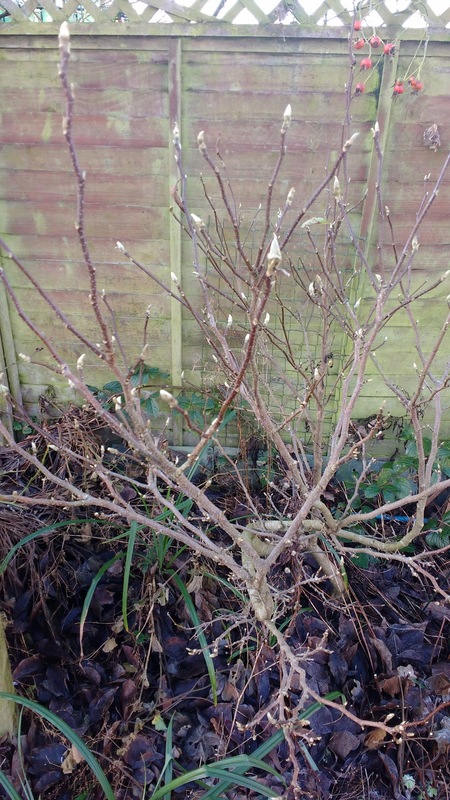 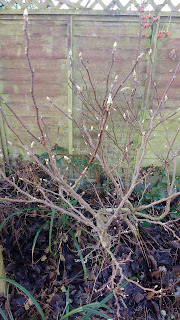 There are plenty of signs of new life, the magnolia is just starting to bud and there are buds on the camelia too. 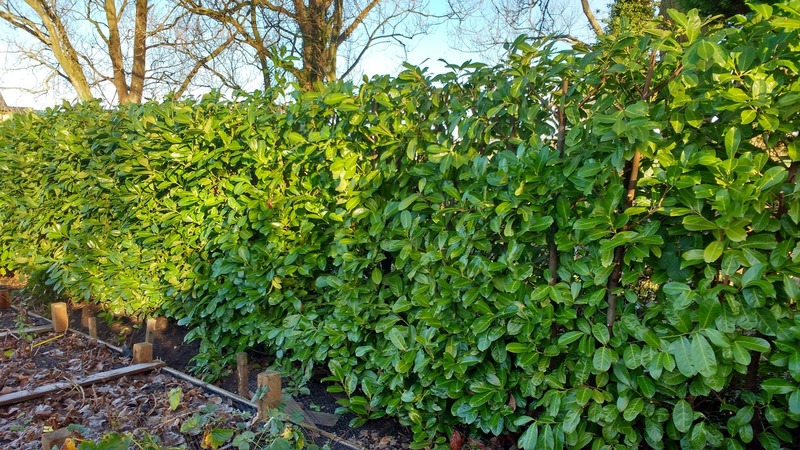 Mark also cut back a lot of the shrubs so they look much tidier and will be a more manageable size this year, everything had got a bit overgrown last year so we decided to cut everything back and keep the shrubs smaller this year. There is still plenty of work to do which will keep us busy in the coming weeks! 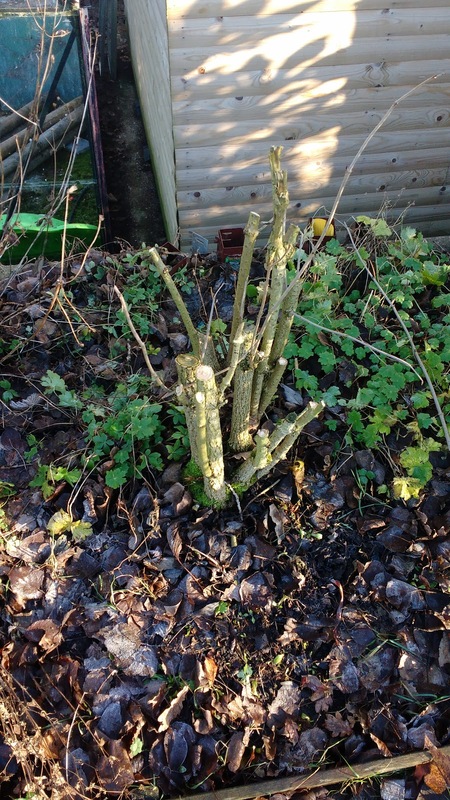 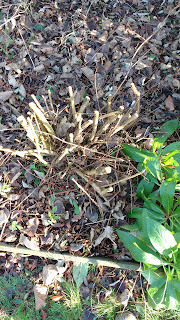 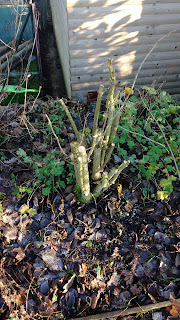 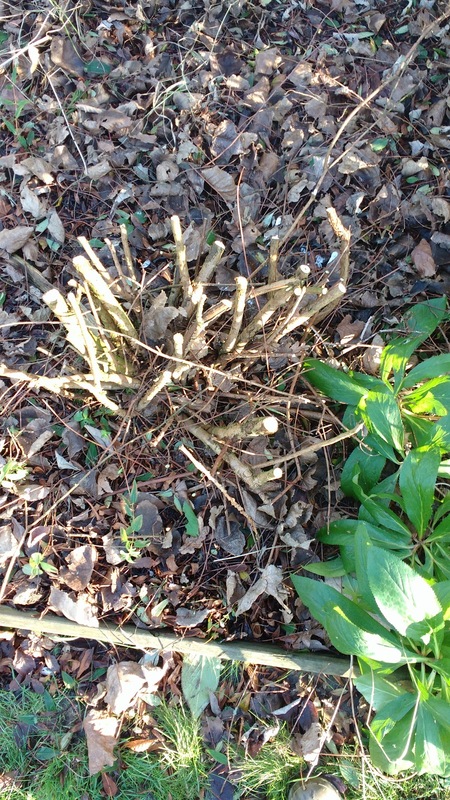 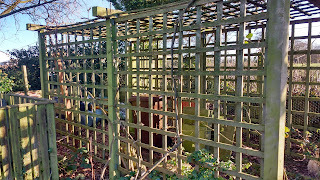 I generally cut things back once the risk of frost is over, the shrubs tend to grow back bushier once they have had a good prune and it stops them taking over the garden, especially when you don't have a lot of space.